There are many options available to invest your surplus money. However, one needs to assess every possible alternative of the investment before actually investing into any. Short-term debt mutual funds can be an ideal choice if you are looking for a short-term investment. The short-term debt MFs invest in corporate bonds, government securities, treasury bills, and money market. It has a holding or lock-in period of 3 years. Investing your surplus money in the short-term debt mutual fund is beneficial in many ways. Imagine your investment giving tax benefits. Sounds exciting, right! It is possible in case of short-term debt mutual funds. 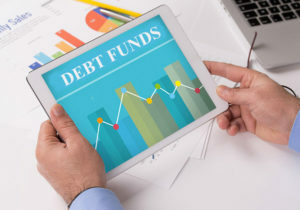 The debt funds held for more than three years are treated as a long-term investment and taxed at 20% with indexation. Also, TDS isn’t deducted from the returns. Short-term debt MFs have high liquidity as compared to other MFs which is an important factor for the investor. You can withdraw your money plus returns anytime unlike fixed deposits. Short-term debt mutual funds do not charge you any fee for withdrawal, unlike other mutual funds which make them more flexible. If you are not willing to take a big risk, then debt mutual fund is the perfect fit for you for the investment. It has low risk and will give you regular rewards than other mutual funds. Thus, it is ideal for the investors with low-risk appetite. Their shorter maturity period makes them less affected by the interest rates fluctuations. According to the debt logic, with a decrease in the rates of interest, the market value of debt grows or decreases. Nevertheless, fluctuations in the market have no major impact on the short-term debt mutual fund. It makes them better performers for the investor even if the market is fluctuating. Due to this, a short-term debt mutual fund gives you better returns as compared to the other mutual funds. As compared to other mutual funds, a short-term debt mutual fund has low transaction cost, which makes it more beneficial for the investors. Another benefit of the debt funds is you can avail indexation benefit on your returns by reduced taxes. This blog takes a look at five situations that require borrowing a loan from your bank. Every business, whether a start-up company or an established multinational firm, sees ups and downs in its working cycle. There are times when further work is forestalled by a lack of revenues. At such times, it becomes impossible to function without borrowing money to take the next step. The primary reason why most companies borrow business loans is when they wish to expand the size and scope of the company’s operations. A company that takes off well and has stable revenues will wish to increase its bottom line even further. Thus, it may need a business loan to buy new office premises, or invest in storage facilities, or put in place a new supply-chain network or just expand into a new geographical area. A loan from the bank at this juncture can give a fillip to these plans. Once a business starts expanding its scope of operations, it must invest heavily at all levels to ensure steady growth. You can hardly expect that the initial capital, machinery and staff strength you began with can sustain the next level of development for the company. For example, if you are the owner of a gymnasium in a metro city, you cannot open a new branch without some amount of capital investment in new exercise machines and trainers. Thus, your company must invest in more specialised equipment – you may even need to import it –and trained manpower to realise the next stage of growth. Prepare a business report and present it to your bank for their approval of a business loan for your future plans. Some companies get off to a good start after commencing operations, and soon, they have enough revenues in their coffers to consider the prospect of diversification. But branching out into a new or even allied branch of business is a capital-intensive decision – and your bank’s business loan products can help you realise this goal. For example, you could have an e-commerce website that retails clothing for young children. As an aside, you may wish to tie up with local manufacturers of children’s footwear, bags and toys to retail their products under your banner, for a commission. But this needs investment in terms of setting up warehouse and inventory, putting in place new delivery systems, organise shipping methods, etc. 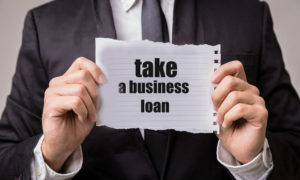 You cannot go ahead with this plan unless you secure a business loan – your bank can help you in this regard. If you have study anything about opening a business enterprise or expanding the small business you currently have, it is likely you’ve noticed the term joint venture, or JV. A joint venture is a way for you to partner with a further company for a specific explanation or factors. Fortune magazine named Apple the most admired company in the planet in 2008, 2009, and 2010. Don’t confuse a JV with a ‘qualified joint venture,’ – a certain taxation type for husbands and wives in partnerships. Joint ventures are appealing since they enable businesses to share each risks and fees. A partnership is defined by each and every state’s legislation as the partnership which exists among persons carrying on a business in widespread with a view to profit. The joint venture will augment the two airlines’ capabilities in the trans-Pacific marketplace and give the required scale and scope to compete in this market place. Incorporated joint ventures offer significantly better asset protection to the joint venture parties than unincorporated ones. 1 reason lots of modest organizations enter into joint ventures is to take benefit of the items, ability sets or client base of a further company. Government’s elevated involvement in the private enterprise environment has created extra opportunities for organizations to engage in domestic and international joint ventures. You recognize that you could both advantage by making a business enterprise partnership, and he agrees to your joint venture thought.